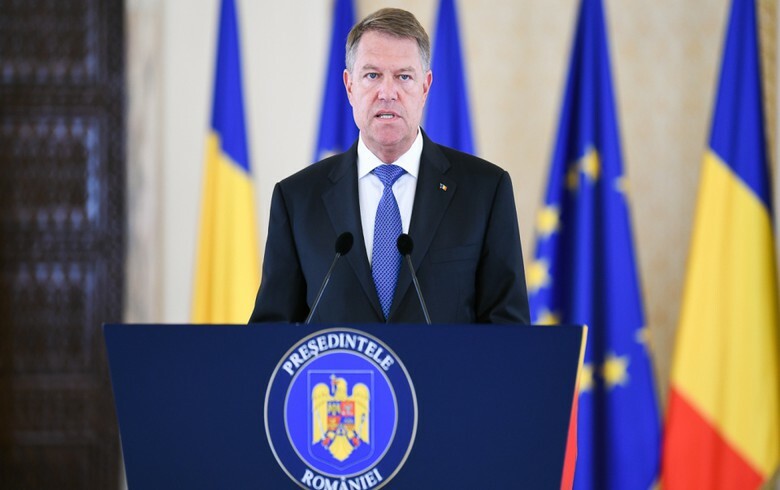 BUCHAREST (Romania), March 15 (SeeNews) - Romania's president Klaus Iohannis on Friday signed the 2019 budget bill into law despite concerns it is unrealistic. "I would have liked to endorse a good budget for Romania, for its citizens. It was not possible!," Iohannis said during a televised statement broadcast by Digi24. The president again lambasted the ruling Social Democrat Party (PSD) for sticking to purely political logic in its refusal to take into account his objections. He also said that the budget spells higher prices, new taxes, deficits and economic imbalances for Romania in 2019. On Wednesday, the parliament adopted the 2019 state budget for a second time without making any changes to it, rejecting the president's request for re-examination. The parliament first adopted the budget bill in mid-February. On March 6, Iohannis sent it back to parliament for revision after the country's top court rejected the president's objections related to the constitutionality of the bill. The budget projects economic growth of 5.5% this year and targets deficit equivalent to 2.76% of the gross domestic product (GDP) forecast at 1.022 trillion lei ($242 billion/214 billion euro). Revenues are projected at 341.4 billion lei, or 33.4% of GDP, and expenses are projected at 367.5 billion lei, or 35.9% of GDP.